The Motel here is ideally situated adjacent to the Immigration Post. Its comfortable, well-furnished rooms provide a welcome relief from the rugged, mountainous surrounding. The restaurant with its choice of Pakistani and western cuisine is a haven of delight. The Motel also offers Satellite TV, Laundry and Rent-a-Jeep/Transport facilities. Arrangements for traveling into China are available. 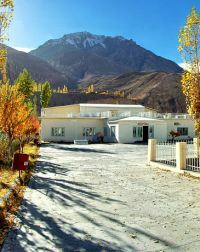 PTDC Motel Sust in Hunza, offers above rates only to Hunza tours. The online reservation payment must be made to Hunza tours not the hotel. Book your events, Meetings, Conferences Marriage parties at PTDC Motel Sust or any other hotel in Hunza please feel free to email us we will offer you the best possible rates and perfect arrangements to suit your events. 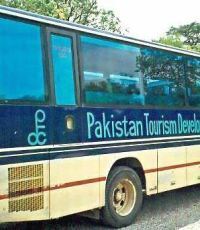 For room reservations at PTDC Motel Sost Hunza please contact usTravel & Culture Services are hotel reservation agents in Pakistan. We reserve hotels at special discounted rates for individuals and companies.